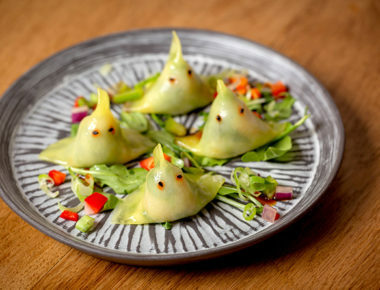 If you’ve been to SUSHISAMBA Heron Tower, you know what to expect. 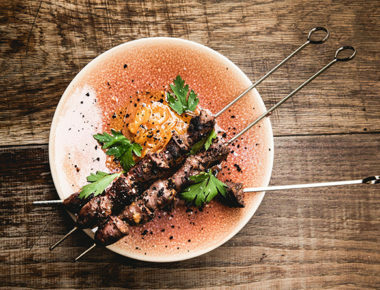 Signature orange branding, great Japanese, Brazilian and Peruvian cuisine and a fun atmosphere. 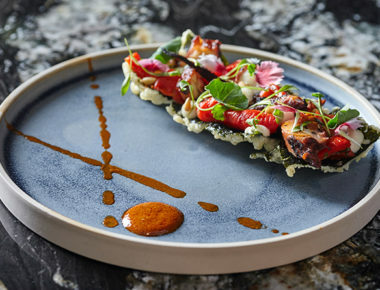 The new SUSHISAMBA on top of the Market Hall building in the Opera Quarter stays true to the much-loved formula, while also offering something new. 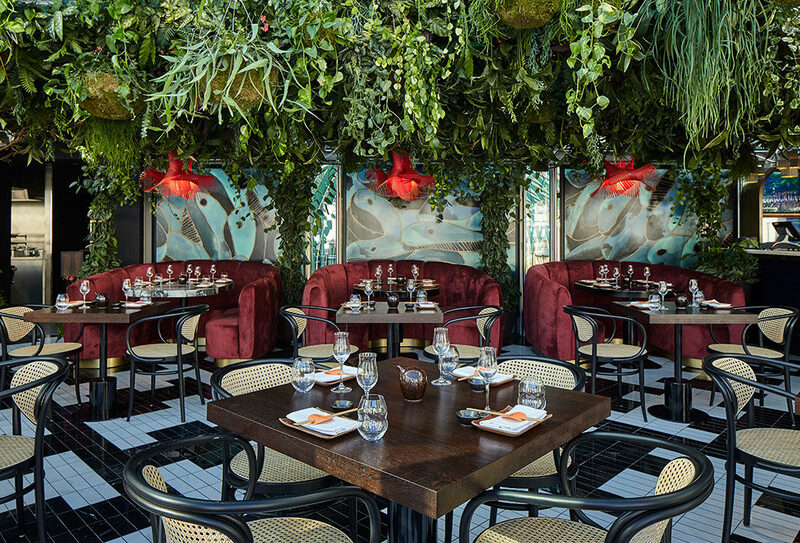 Following suit with the current Covent Garden trend of jungle, the décor here is suitably Amazonian, and here, it’s with just cause as SUSHISAMBA is a huge advocate of preserving the rainforest. Designed by Too Many Agencies from Antwerp, with a glass roof by Eric Parry, the venue is extremely light, with great views of the piazza and terrace seating for the warmer months. There’s a living ceiling with tropical plants, red velvet circular booths, red high gloss/lacquer tables (we love) and the lighting is soft. We were there for lunch, but we could see it being quite romantic at night. 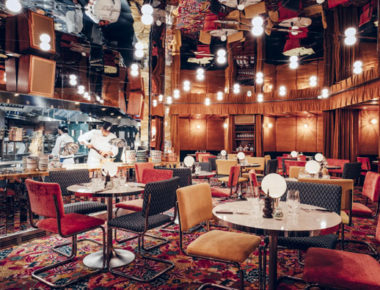 The restaurant seems to be divided too – bar, main tables, mini tables along the window, and circular bar dining with an open kitchen. They’ve done well with this long space. 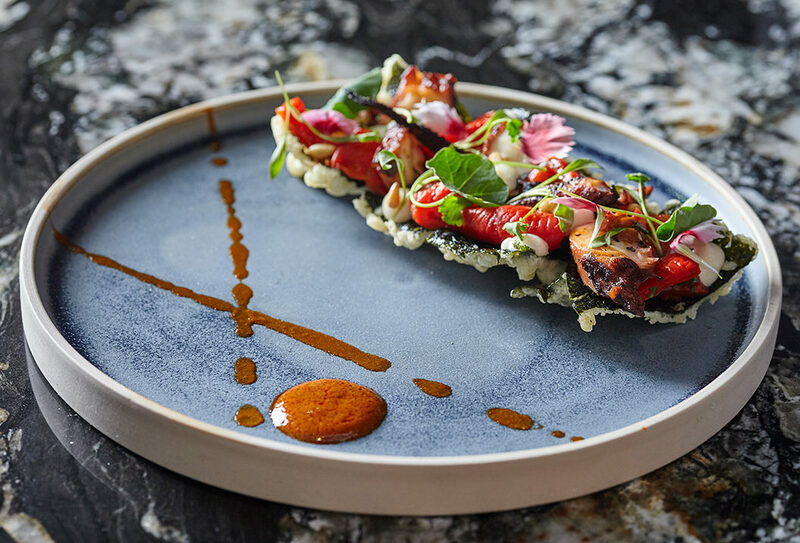 The much loved Japanese, Peruvian, Brazilian combo makes for an innovative, flavourful, healthy selection, and if you like spice, you’ll do well here. Forgo the usual edamame and order green beans with black truffle aioli instead; they’re lightly battered and delicious. There are wagyu gyoza if you’re a wagyu fan, and a great selection of ceviches – the white cusco corn caught our eye. There are the usual tiraditos (try the kanpachi with yuzu and black truffle oil) and robata grill selection (the octopus with smoke and tempered nori was interesting), and the rolls were also outstanding (we steered clear of the one with grilled mozzarella though). Don’t leave without ordering the omakase sashimi, and for dessert it has to be the pear dish, which is actually a very slick, Chiquita banana. 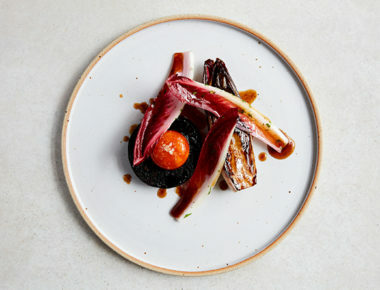 Trust us, it’s worth a look, even if not the best thing we ate. 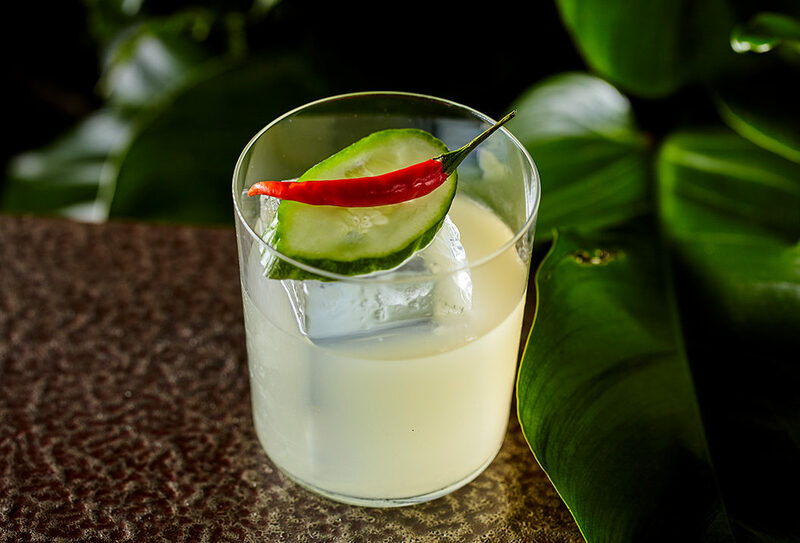 As for drinks, the cocktails are innovative and they claim to have ‘one of the largest premium sake selections in the world and a robust Japanese whisky collection.’ So you won’t go thirsty. The live garden is very atmospheric and the views over the piazza make for great gazing. 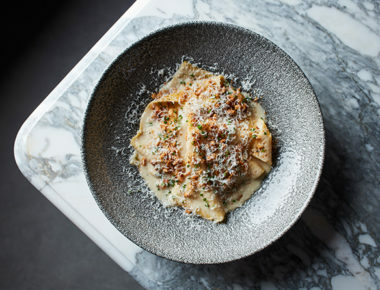 The menu is excellent; there are so many great options it’s actually hard to order. Repeat trips will be needed here. DO start with a drink at the bar; this is a definite work-your-way-through-the-restaurant kind of place. And request a table by the window if you are two. There are DJs on some nights, so if that’s not your cup of tea, ask before you go.